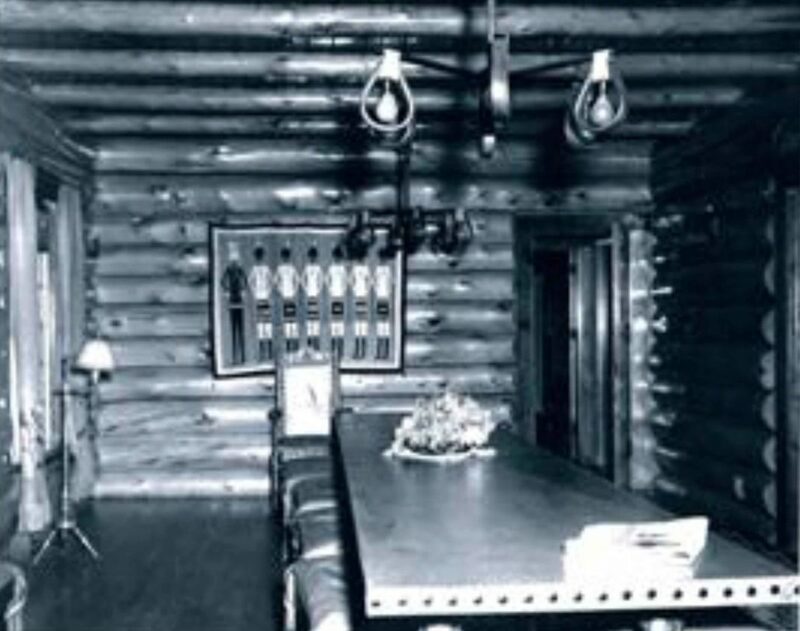 Thomas Molesworth made a name for himself furnishing the Annenberg lodge and big hotels in Wyoming and Montana. Molesworth made furniture for some of the most prominent Americans of the twentieth century. 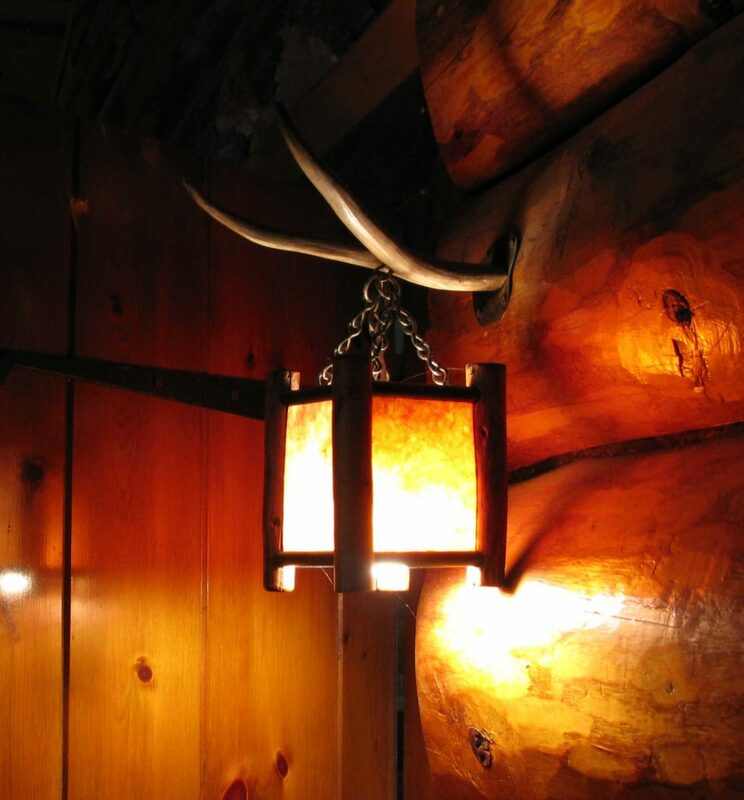 He used his knowledge of rustic and Western designs to create a sophisticated new Western style. He furnished Eisenhower’s den, the Rockefeller Ranch and the homes and retreats of several celebrities and captains of industry and commerce. 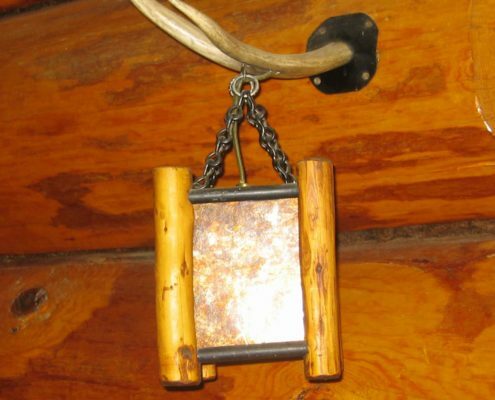 Molesworth believed in well-crafted furniture that reflected a unity of style, linking architecture with interior design. 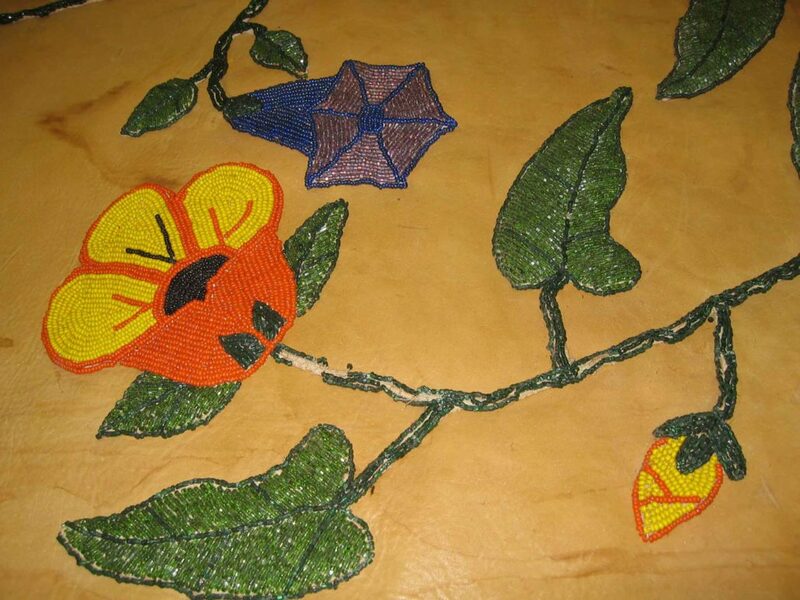 Molesworth surrounded his furniture with authentic Navajo rugs and sand paintings as well as original Western art. 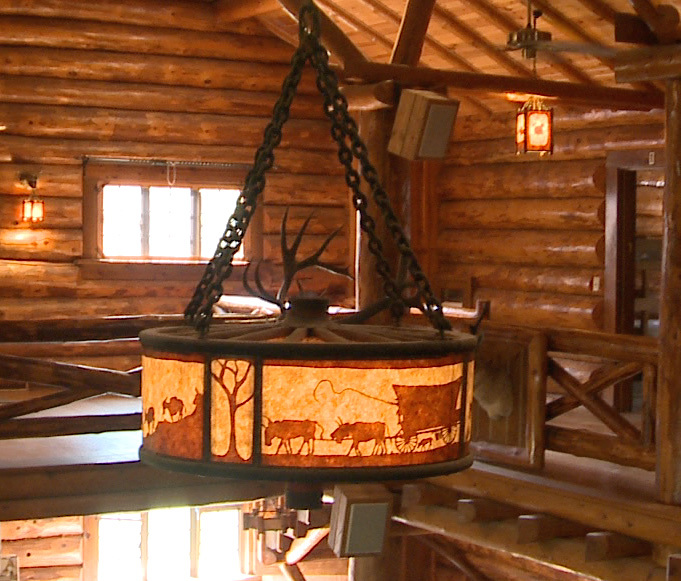 He sold his clients more than a well-furnished interior; it was a Western experience. 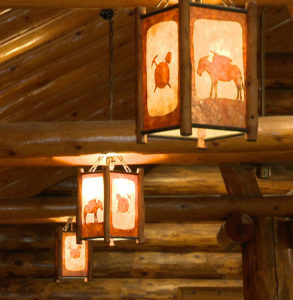 Examples of light fixtures at the Ranch A Main Lodge designed by Thomas Molesworth. 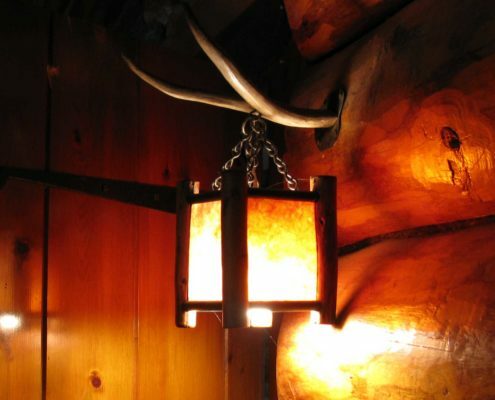 furniture for Annenberg’s hunting lodge and designed the entire interior, from coyote-head sconces with lights suspended from their jaws to wrought-iron fireplace screens. 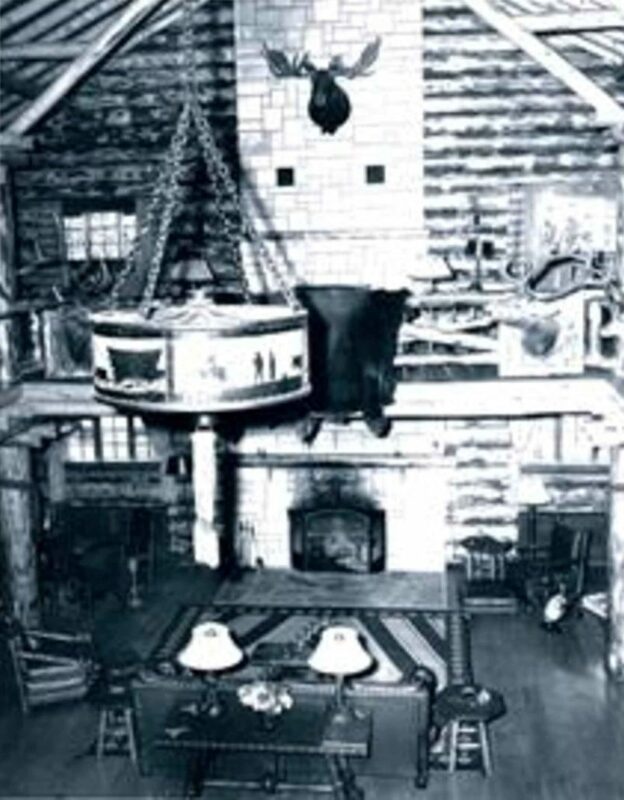 The main room of the lodge featured bright upholstered furniture and cabinets carved with figures, including a piece with a bobcat head as a decoration and the creature’s paw as the cabinet pull. 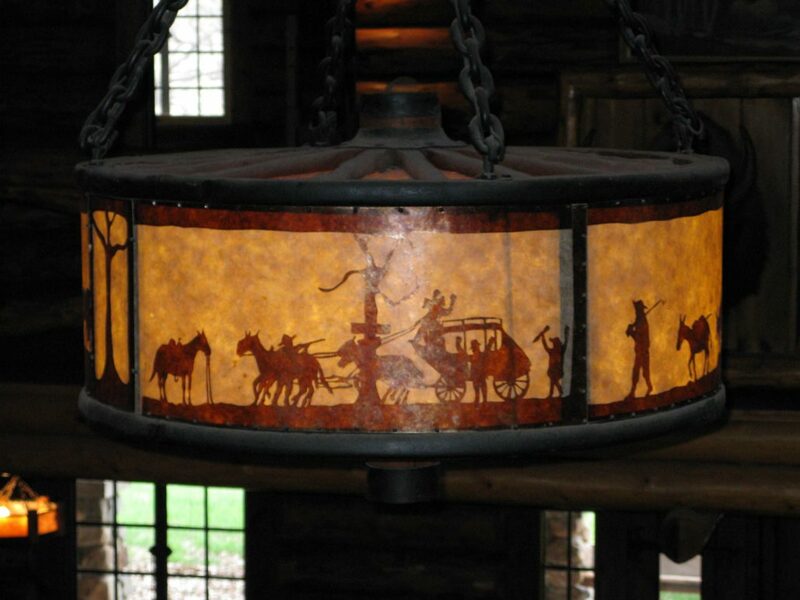 There were chandeliers and fire screens of wrought-iron western cutouts suggesting Indian villages. 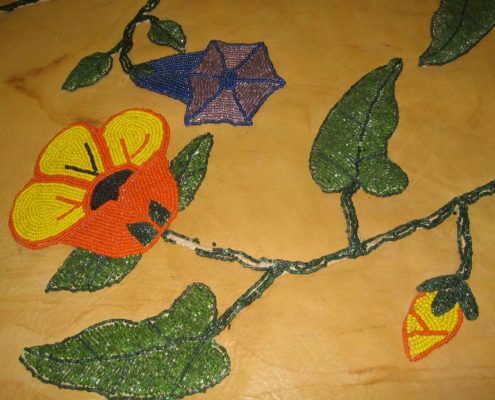 He made horsehide drapes with bead-work, scattered forty-two Navajo rugs throughout the lodge, and built a twenty-foot table, accompanied by twenty high-backed chairs which were marked with the routed design of the letter A and had arms made of burl. 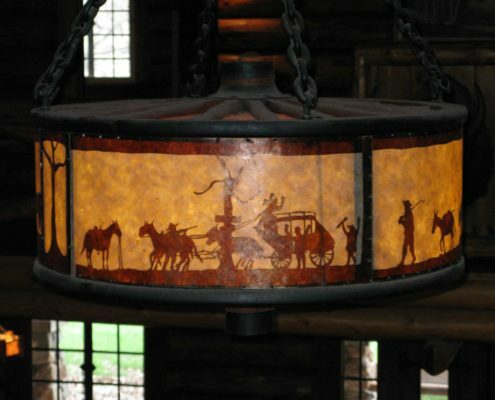 Molesworth didn’t invent Western interior design, but he provided a strong theme that developed into an American Western style. 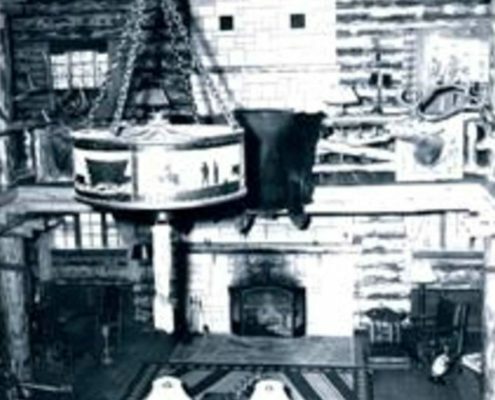 Before him, Western homes were furnished with standard mission-oak furniture from the Montgomery Ward and Sears catalogues. 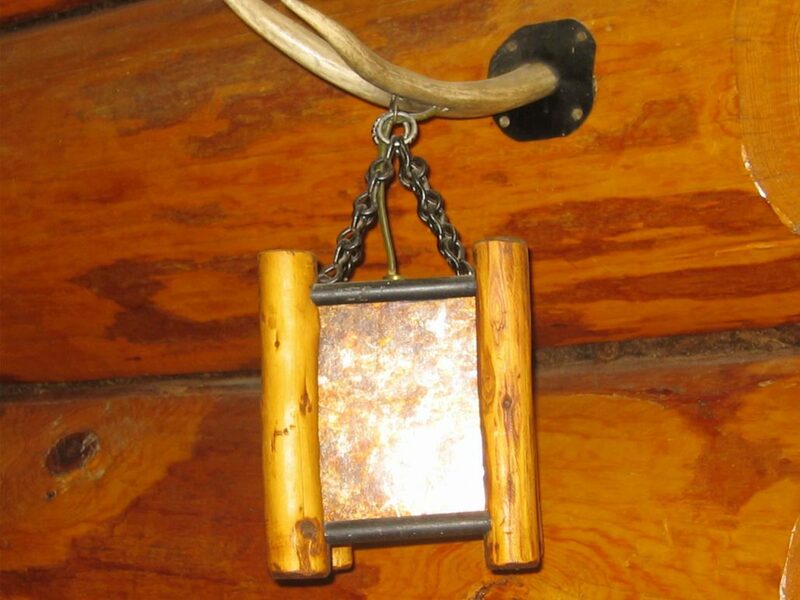 A few local craftsmen made unusual antler and horn furniture – most of it shipped to the Eastern markets for use in hunting lodges. 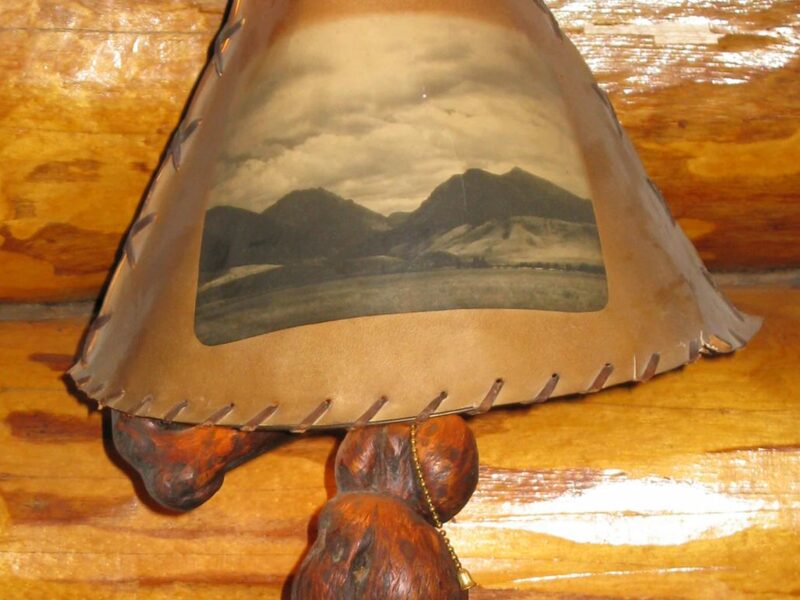 Molesworth combined these local products with his knowledge of interior design and his own interpretation of the American West.